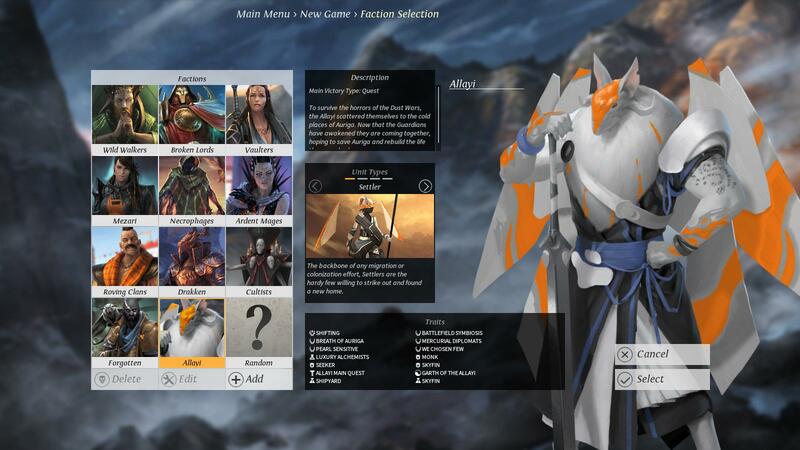 Endless Legend is a new turn-based strategy game from the creators of well-received Endless Space, Amplitude Studios. That game considers itself a 4X game. That is eXplore, eXpand, eXploit, and eXterminate. 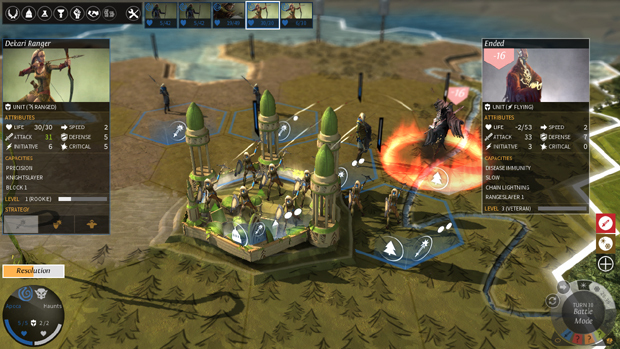 In Endless Legend, you will take control of one of the eight playable civilizations within the game, each with its own unique storyline and play-style. The game is currently in its beta stages and is available for early purchase through Steam’s Early Access program. In keeping with the 4X theme of the game, I’ve decided to title each section of this early look with one of the X’s. This first section will center around the exploration part of the game. Early on, you will realize that exploration is a pretty big part of the game, like most 4X games. This means you’ll more than likely have one or more armies dedicated to simply exploring the map looking for ruins or potential city sites. 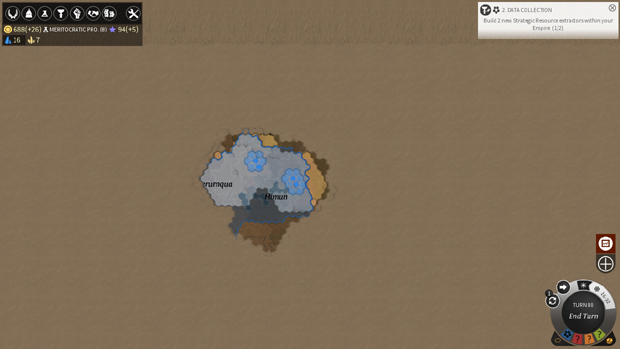 Ruins are fairly interesting in that you can send search parties into them to potentially find treasures, such as hidden or lost technologies. 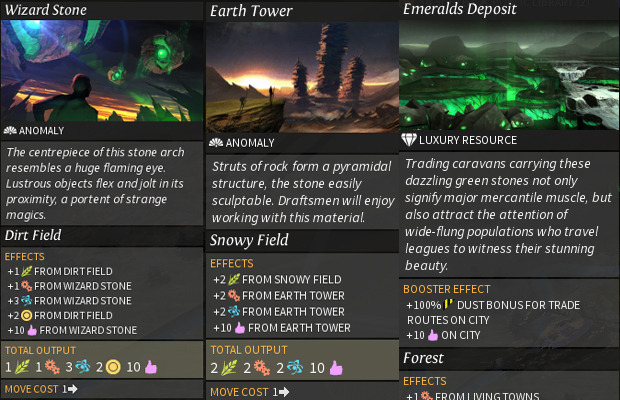 You can also find other sites which can provide bonuses to cities built around them, such as Wizard Stones or Earth Towers. Finding these sites aren’t hard, as the map is full of them. Chances are, you’ll run into a lot of them around your starting location and choosing to place your first city near one can give you a decent edge over the other civilizations playing. One thing I liked immediately was the amount of customization you get when choosing the specs of your game world before you begin playing. From the size of the world, to the temperature/climate. You even get to choose the size of the various regions in the world, the shape of the world, or the size of the world as a whole. There are even more settings to choose from if you go into the “Advanced Settings” of each category. If you are a fan of these types of strategy games, you’re going to love the options here. One interesting feature I came across was the seasons. Right now, there seems to be only two and I’m not sure if it’ll be diversified later on. The two seasons are summer and winter. Summer is your “normal” season, with no effects added on to you. Winter, however, is a completely different cookie and there are a number of negative modifiers attached to it. The effects aren’t so bad that you won’t be able to accomplish anything in winter, but you will do a bit more planning and perhaps a bit more sitting back while it is in effect. 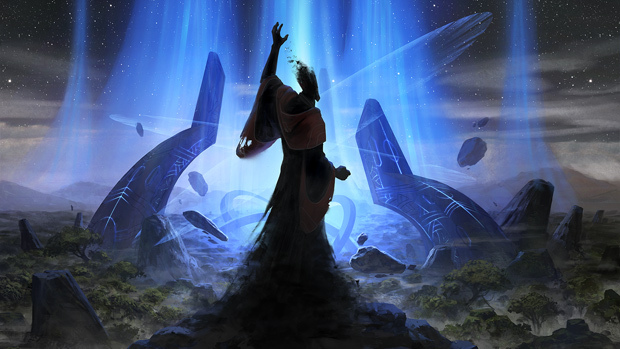 Expansion is a pretty important part of Endless Legend. You won’t get anywhere if you stick with just one or two cities and never cross into enemy territory. City building is a bit more involved than you might find in a typical 4X. Sure, it has the usual stuff such as city upgrades, but there are other things involved such as population growth overtime, or upgrades to a city that will actually physically expand the limits of the city into other hexes. As I mentioned, you can build cities near various types of sites in order to give them bonuses. For example, you could build a city near a destroyed city of one of the Minor Factions and gain the ability to expand that city into the ruins of the old one in order to build something like “Haunts.” Or you could build near an Emerald Deposit to get bonuses to moral and Dust from trade. What civilization you choose to play also gives you fairly unique options for upgrading your city as well – such as the Sewer System technology that the Wildwalkers start with that improves the happiness of your cities’ populations. Minor Factions are scattered all around the map. These are factions that aren’t on the scale of the larger factions, but can provide a challenge. You can assimilate them into your own empire, gaining bonuses and the ability to make use of their unit types. You can also freely set up new cities within their territories (after you’ve conquered them, I suggest). Early on, along with roaming armies – which I will get into under “Exterminate” – they are a good source of early experience for heroes and other units. Speaking of heroes, these are an interesting part of the game. They’re not anything new to the genre, but they are something fun. You can equip them with gear, level them up to make them stronger, and even make use of a skill tree that will not just improve the heroes’ abilities, but the abilities of your whole faction. And these improvements aren’t limited to combat, either. You could choose to make one of your heroes improve your production. So far, it seems like a hero can’t die, either. They just become disabled for a period of time. Diplomacy is a pretty important part of the game. Chances are, you’re going to be using it a decent amount in both single player and multiplayer games. 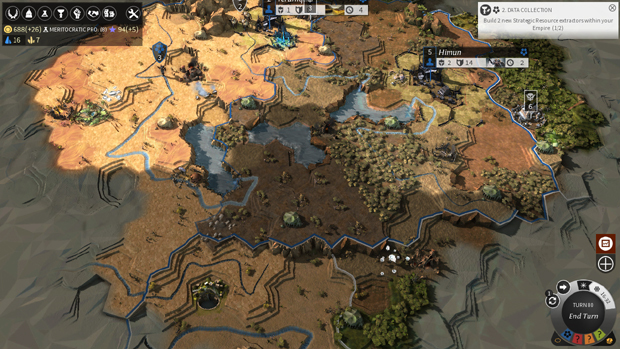 The good thing is that Endless Legend’s diplomacy system is easy to grasp. Unfortunately, though, not all diplomacy features are enabled yet (remember, I’m playing a beta version of the game). So more advanced things like treaties are out of my grasp right now. 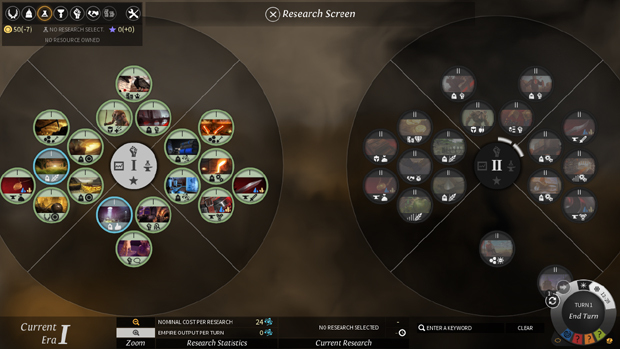 The technology research system in the game is interesting, yet simple. You can queue up several technologies to be researched (the highest I ever went up to is ten), which is nice. There are also several “tiers” of technologies, too. To unlock new tiers, you must meet certain requirements. 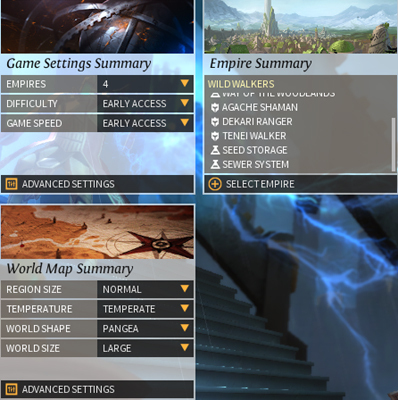 In the beta, there are currently four tiers of technology, but there are two more (for a total of six) shown on the technology menu that have nothing on them yet. There are certain “strategic resources” that can be used to give you an advantage. You can get these resources through quests, or from building special buildings on tiles with these strategic resources on them. 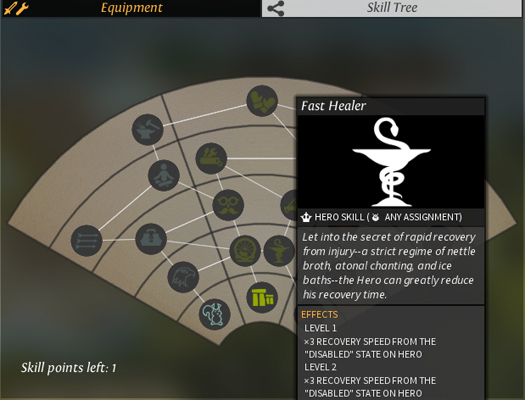 You can choose to use the resources to buy more advanced gear for your heroes, or you can choose to sacrifice them to provide your empire with a boost. 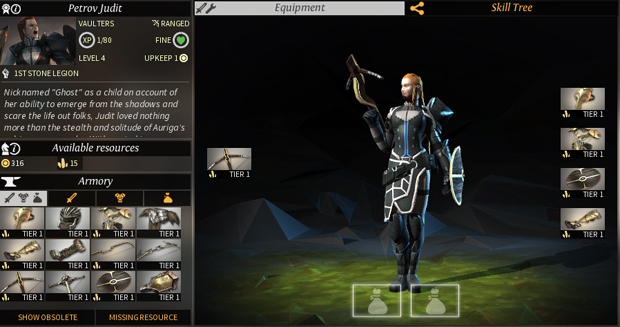 I was honestly quite surprised by how much I enjoyed the combat in Endless Legend. Combat was far from my favorite part of Endless Space, so I wasn’t expecting much. 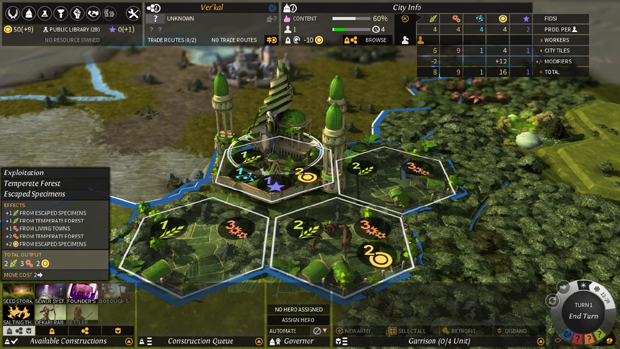 The combat is a turn-based, Hex-based system that makes use of terrain and other factors. Or, if you don’t feel like manually running the battle, you can choose to have it done automatically. More often than not, I chose to do the battle manually as I found it fun figuring on the strategies that would keep my units from getting slaughtered. I’m sure there is a lot of stuff to be added or polished when it comes to the combat system, but already there is more than meets the eye. There are a number of factors you will need to take into account if you don’t plan to lose a bunch of your units and disable your heroes. When you first start, you’ll probably feel like the odds are stacked against you and the AI is much stronger than it should be. Or at least, I did. But, after a couple of dozen battles you’ll start to learn the ins-and-outs of the various units from your faction and from others. 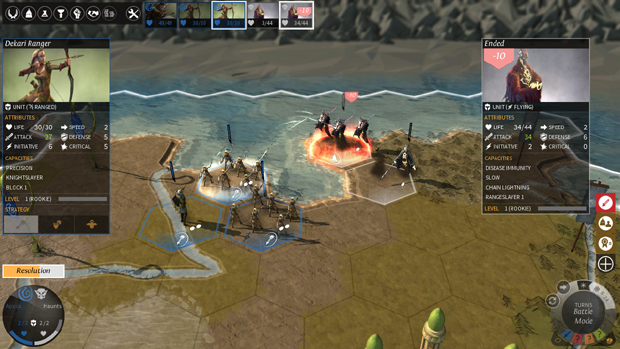 Endless Legend is shaping up to be a very good game. It has the plethora of options and customization that made Endless Space so fun, and adds in a slew of its own unique features to set it apart. I enjoyed the combat a lot more than I thought I would, thanks in part to the unit leveling and customization of the heroes. There are even story-driven elements and plenty of mythical landscapes and beasts to take on, making the game’s fantasy theme come to life. 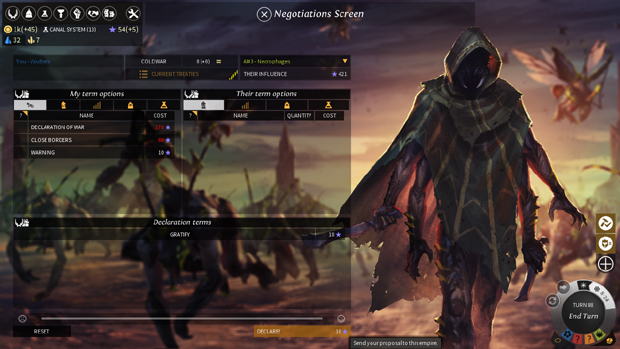 If you’re looking for a new turn-based strategy game, I would say definitely keep an eye on Endless Legend, I personally cannot wait to try the game once it’s fully released and all features are enabled.